Despite the economic crisis, exclusive merchandise will always be in high demand. This beauty, designed by E. Kevin Schöpfer is called the Oculus. The slick and smooth design, the open mouth-like backside combined with the eye-like socket make the Oculus look like a creature of the sea. 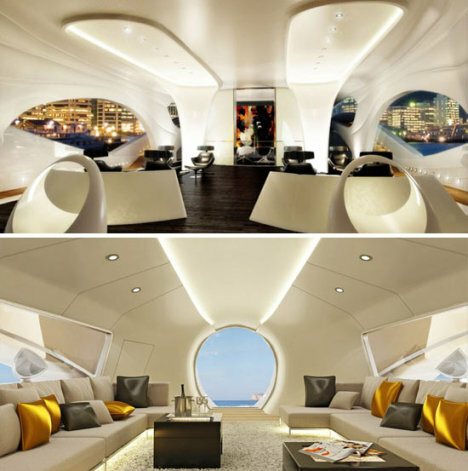 The yacht is 250 feet long, the ceilings are 12 feet high and it can travel the seas at 25 knots.